On Sale Now! Save 9% on the Thinvik Bike Computer Mount for Cateye Computer，Cycling Out Front Handlebar Mouting Bicycle Bar Mounted Compatible with Cateye Series Computer by Thinvik at Tobby News. 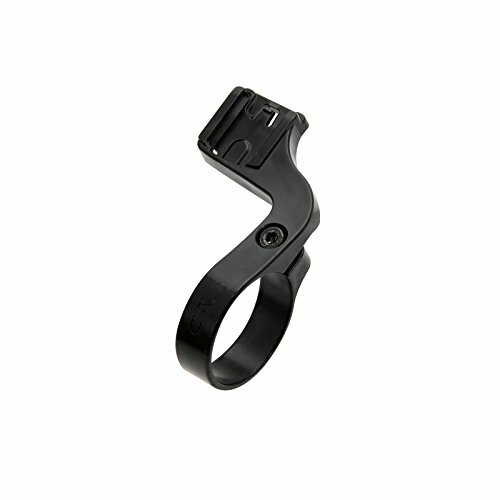 MPN: Bike Mount_Black. Hurry! Limited time offer. Offer valid only while supplies last. Compatible with all Cateye cycle computers except for CC-TR310TW, CC-TR210DW, CC-TR300TW, CC-TR200DW, CC-AT200W and some wired computers. Durable - Made of plastic-steel,Reliable quality,can be long time use under strong sunshine or wet place. Guanrantee - If you are not satisfied with your purchase, you may return your mount for a full refund.